Home › Latest Promotions › To Paris, with Love! 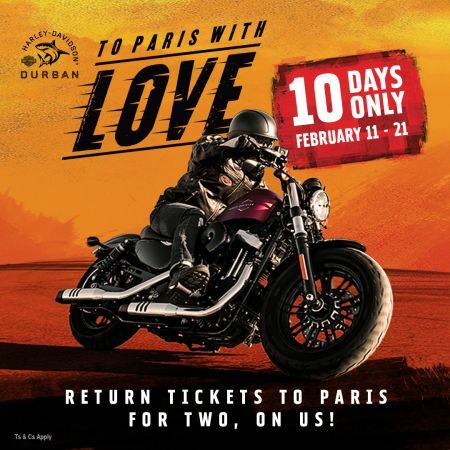 We have a bike for you in the colour of Love & in the month of Love we’re sending you and your Love to the City of Love (Paris), with Love from Harley-Davidson® Durban. Purchase this red 1200 Roadster® from us on or before the 21st of February 2019 and we’ll cover the return flights for you and your partner to Paris.